Giving it 4 stars as it is a solid design and good airflow. Got the LXL version and it just barely fits my huge head (better than many not as good as I'd like-can't really wear a cap when cold). Huge fan of the Magnetic (Fidlock) buckle-easy to put on with gloves, has never come off on its own. The rest of the straps are so-so, seem to twist on themselves a bit. This helmet has excellent quality and venting, movable visor. This gives me confidence of full-head protection with a snug fit and a good visor, the magnetic chin strap is a bonus! 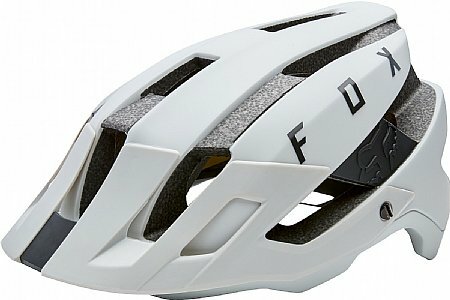 I use this for mountain biking twice a week, for 2-3 hour rides at a time. The helmet - size large - fits my head snug and is solid without much wiggle partly because of the low base protection, I think. It is warmer than the more vented helmets I've used in the past, which has been great for winter, though I haven't tried on hot days yet. The visor is adjustable, which is good since the lowest position caused me to lose vision above the horizon, a bit, but was easily raised for a more comfortable view. The magnetic chin strap is nice and easily removable with one hand. Overall, a great helmet.